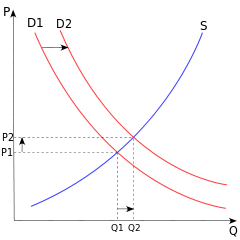 It was assumed in early economic theories, reflecting the context, i.e., the secondary sector of the economy was producing much more than the tertiary sector was able to produce at the time in most countries – to be a fungible resource, homogeneous, and easily interchangeable, and it was referred to simply as workforce or labor, one of three factors of production (the others being land, and assumed-interchangeable assets of money and physical equipment). Just as land became recognized as natural capital and an asset in itself, human factors of production were raised from this simple mechanistic analysis to human capital. In modern technical financial analysis, the term "balanced growth" refers to the goal of equal growth of both aggregate human capabilities and physical assets that produce goods and services. Studies of structural unemployment have increasingly focused on a mismatch between the stock of job-specific human capital and the needs of employers. In other words, there is increasingly a recognition that human capital may be specific to particular jobs or tasks and not general and readily transferable. Recent work has attempted to improve the linkages between education and the needs of the labor market by linking labor market data to education loan pricing. “Fourthly, of the acquired and useful abilities of all the inhabitants or members of the society. The acquisition of such talents, by the maintenance of the acquirer during his education, study, or apprenticeship, always costs a real expense, which is a capital fixed and realized, as it were, in his person. Those talents, as they make a part of his fortune, so do they likewise that of the society to which he belongs. The improved dexterity of a workman may be considered in the same light as a machine or instrument of trade which facilitates and abridges labor, and which, though it costs a certain expense, repays that expense with a profit.”. "There is such a thing as investment in human capital as well as investment in material capital. So soon as this is recognised, the distinction between economy in consumption and economy in investment becomes blurred. For, up to a point, consumption is investment in personal productive capacity. This is especially important in connection with children: to reduce unduly expenditure on their consumption may greatly lower their efficiency in after-life. Even for adults, after we have descended a certain distance along the scale of wealth, so that we are beyond the region of luxuries and "unnecessary" comforts, a check to personal consumption is also a check to investment." The use of the term in the modern neoclassical economic literature dates back to Jacob Mincer's article "Investment in Human Capital and Personal Income Distribution" in the Journal of Political Economy in 1958. Then Theodore Schultz who is also contributed to the development of the subject matter. The best-known application of the idea of "human capital" in economics is that of Mincer and Gary Becker of the "Chicago School" of economics. Becker's book entitled Human Capital, published in 1964, became a standard reference for many years. In this view, human capital is similar to "physical means of production", e.g., factories and machines: one can invest in human capital (via education, training, medical treatment) and one's outputs depend partly on the rate of return on the human capital one owns. Thus, human capital is a means of production, into which additional investment yields additional output. Human capital is substitutable, but not transferable like land, labor, or fixed capital. Expandable and self-generating with use: as doctors get more experience, their competence base will increase, as will their endowment of human capital. The economics of scarcity is replaced by the economics of self-generation. Transportable and shareable: competence, especially knowledge, can be moved and shared. This transfer does not prevent its use by the original holder. However, the transfer of knowledge may reduce its scarcity-value to its original possessor. Competence, ability, skills or knowledge? Often the term "knowledge" is used. "Competence" is broader and includes cognitive ability ("intelligence") and further abilities like motoric and artistic abilities. "Skill" stands for narrow, domain-specific ability. The broader terms "competence" and "ability" are interchangeable. Knowledge equity (= knowledge capital – knowledge liability) plus emotional equity (= emotional capital – emotional liability) equals goodwill or immaterial/intangible value of the company. Intangible value of the company (goodwill) plus (material) equity equals the total value of the company. The term appears in Marx's article in the New-York Daily Tribune article "The Emancipation Question," January 17 and 22, 1859, although there the term is used to describe humans who act like a capital to the producers, rather than in the modern sense of "knowledge capital" endowed to or acquired by humans. Neo-Marxist economists such as Bowles have argued that education does not lead to higher wages by increasing human capital, but rather by making workers more compliant and reliable in a corporate environment. The concept of Human capital has relatively more importance in labour-surplus countries. These countries are naturally endowed with more of labour due to high birth rate under the given climatic conditions. The surplus labour in these countries is the human resource available in more abundance than the tangible capital resource. This human resource can be transformed into Human capital with effective inputs of education, health and moral values. The transformation of raw human resource into highly productive human resource with these inputs is the process of human capital formation. The problem of scarcity of tangible capital in the labour surplus countries can be resolved by accelerating the rate of human capital formation with both private and public investment in education and health sectors of their National economies. The tangible financial capital is an effective instrument of promoting economic growth of the nation. The intangible human capital, on the other hand, is an instrument of promoting comprehensive development of the nation because human capital is directly related to human development, and when there is human development, the qualitative and quantitative progress of the nation is inevitable. This importance of human capital is explicit in the changed approach of United Nations towards comparative evaluation of economic development of different nations in the World economy. United Nations publishes Human Development Report on human development in different nations with the objective of evaluating the rate of human capital formation in these nations. The statistical indicator of estimating Human Development in each nation is Human Development Index (HDI). It is the combination of "Life Expectancy Index", "Education Index" and "Income Index". The Life expectancy index reveals the standard of health of the population in the country; education index reveals the educational standard and the literacy ratio of the population; and the income index reveals the standard of living of the population. If all these indices have the rising trend over a long period of time, it is reflected into rising trend in HDI. The Human Capital is developed by health, education and quality of Standard of living. Therefore, the components of HDI viz, Life Expectancy Index, Education Index and Income Index are directly related to Human Capital formation within the nation. HDI is indicator of positive correlation between human capital formation and economic development. If HDI increases, there is higher rate of human capital formation in response to higher standard of education and health. Similarly, if HDI increases, per capita income of the nation also increases. Implicitly, HDI reveals that higher the human capital formation due to good standard of health and education, higher is the per capita income of the nation. This process of human development is the strong foundation of a continuous process of economic development of the nation for a long period of time. This significance of the concept of Human capital in generating long-term economic development of the nation cannot be neglected. It is expected that the Macroeconomic policies of all the nations are focussed towards promotion of human development and subsequently economic development. Human Capital is the backbone of Human Development and economic development in every nation. Mahroum (2007) suggested that at the macro-level, human capital management is about three key capacities, the capacity to develop talent, the capacity to deploy talent, and the capacity to draw talent from elsewhere. Collectively, these three capacities form the backbone of any country's human capital competitiveness. Recent U.S. research shows that geographic regions that invest in the human capital and economic advancement of immigrants who are already living in their jurisdictions help boost their short- and long-term economic growth. There is also strong evidence that organizations that possess and cultivate their human capital outperform other organizations lacking human capital (Crook, Todd, Combs, Woehr, and Ketchen, 2011). In India, rate of human capital formation has consistently increased after Independence due to qualitative improvement in each generation. In the second decade of 21st century, the third generation of India's population is active in the workforce of India. This third generation is qualitatively most superior human resource in India. It has developed the service sector of India with the export of financial services, software services, tourism services and improved the Invisible balance of India's Balance of payments. The rapid growth of Indian economy in response to improvement in the service sector is an evidence of cumulative growth of Human Capital in India. Educated individuals often migrate from poor countries to rich countries seeking opportunity. This movement has positive effects for both countries: capital-rich countries gain an influx in labor, and labor rich countries receive capital when migrants remit money home. The loss of labor in the old country also increases the wage rate for those who do not emigrate, while the additional labor lowers wages in the new country. When workers migrate, their early care and education generally benefit the country where they move to work. And, when they have health problems or retire, their care and retirement pension will typically be paid in the new country. African nations have invoked this argument with respect to slavery, other colonized peoples have invoked it with respect to the "brain drain" or "human capital flight" which occurs when the most talented individuals (those with the most individual capital) depart for education or opportunity to the colonizing country (historically, Britain and France and the U.S.). Even in Canada and other developed nations, the loss of human capital is considered a problem that can only be offset by further draws on the human capital of poorer nations via immigration. The economic impact of immigration to Canada is generally considered to be positive. During the late 19th and early 20th centuries, human capital in the United States became considerably more valuable as the need for skilled labor came with newfound technological advancement. The 20th century is often revered as the "human capital century" by scholars such as Claudia Goldin. During this period a new mass movement toward secondary education paved the way for a transition to mass higher education. New techniques and processes required further education than the norm of primary schooling, which thus led to the creation of more formalized schooling across the nation. These advances produced a need for more skilled labor, which caused the wages of occupations that required more education to considerably diverge from the wages of ones that required less. This divergence created incentives for individuals to postpone entering the labor market in order to obtain more education. The “high school movement” had changed the educational system for youth in America. With minor state involvements, the high school movement started at the grass-roots level, particularly the communities with the most homogeneous populations. As a year in high school added more than ten percent to an individual’s income, post-elementary school enrollment and graduation rates increased significantly during the 20th century. The U.S. system of education was characterized for much of the 20th century by publicly funded mass secondary education that was open and forgiving, academic yet practical, secular, gender neutral, and funded by small, fiscally independent districts. This early insight into the need for education allowed for a significant jump in US productivity and economic prosperity, when compared to other world leaders at the time. It is suggested by several economists, that there is a positive correlation between high school enrollment rates and GDP per capita. Less developed countries have not established a set of institutions favoring equality and role of education for the masses and therefore have been incapable of investing in human capital stock necessary for technological growth. The rights and freedom of individuals to travel and opportunity, despite some historical exceptions such as the Soviet bloc and its "Iron Curtain", seem to consistently transcend the countries in which they are educated. One must also remember that the ability to have mobility with regards to where people want to move and work is a part of their human capital. Being able to move from one area to the next is an ability and a benefit of having human capital. To restrict people from doing so would be to inherently lower their human capital. This debate resembles, in form, that regarding natural capital. Human capital is an intangible asset – it is not owned by the firm that employs it and is generally not fungible. Specifically, individuals arrive at 9am and leave at 5pm (in the conventional office model) taking most of their knowledge and relationships with them. In Corporate finance, human capital is one of the three primary components of Intellectual capital (which in addition to tangible assets comprise the entire value of a company). Human Capital is the value that the employees of a business provide through the application of skills, know-how and expertise. It is an organization’s combined human capability for solving business problems. Human Capital is inherent in people and cannot be owned by an organization. Therefore, Human Capital leaves an organization when people leave. Human Capital also encompasses how effectively an organization uses its people resources as measured by creativity and innovation. A company’s reputation as an employer affects the Human Capital it draws. 1 2 3 4 5 Simkovic, Michael (2013). "Risk-Based Student Loans". Washington and Lee Law Review. 70 (1): 527. SSRN 1941070 . ↑ Spence, Michael (1973). "Job Market Signaling". Quarterly Journal of Economics. 87 (3): 355–374. doi:10.2307/1882010. ↑ Spence, Michael (2002). "Signaling in Retrospect and the Informational Structure of Markets". American Economic Review. 92 (3): 434–459. doi:10.1257/00028280260136200. ↑ The Forms of Capital: English version published 1986 in J.G. Richardson's Handbook for Theory and Research for the Sociology of Education, pp. 241–258. ↑ "Who Makes It? 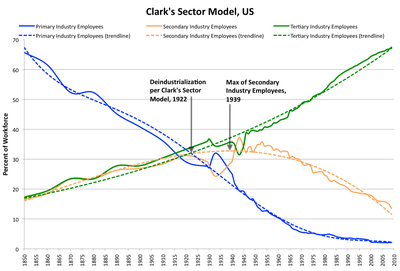 Clark's Sector Model for US Economy 1850–2009". Retrieved 29 December 2011. 1 2 Sveiby, Karl Erik (1997). "The Intangible Asset Monitor". Journal of Human Resource Casting and Accounting. 2 (1). ↑ Sullivan, Arthur; Steven M. Sheffrin (2003). Economics: Principles in action. Upper Saddle River, New Jersey 07458: Pearson Prentice Hall. p. 5. ISBN 0-13-063085-3. ↑ Abel, Jaison R.; Deitz, Richard (2012). "Do Colleges and Universities Increase Their Region's Human Capital?". Journal of Economic Geography. 12 (3): 667. doi:10.1093/jeg/lbr020. ↑ Smith, Adam: An Inquiry into the Nature And Causes of the Wealth of Nations Book 2 – Of the Nature, Accumulation, and Employment of Stock; Published 1776. ↑ W. Arthur Lewis (1954) "Economic Development with Unlimited Supplies of Labour." ↑ Pigou, Arthur Cecil (1928). A Study in Public Finance. London: Macmillan. p. 29. ↑ Mincer, Jacob Studies in Human Capital. 1. "Investment in Human Capital and Personal Income Distribution". Edward Elgar Publishing, 1993. ↑ Hanushek, Eric; Woessmann, Ludger (2008). "The Role of Cognitive Skills in Economic Development". Journal of Economic Literature. 46 (3): 607–668. doi:10.1257/jel.46.3.607. ↑ Rindermann, Heiner (March 2008). "Relevance of education and intelligence at the national level for the economic welfare of people". Intelligence. 36 (2): 127–142. doi:10.1016/j.intell.2007.02.002. ↑ Haq, Mahbub ul (1996). Reflection on Human Development. Delhi: Oxford University Press. ↑ Human Development Report, UNDP. "HDR". ↑ Investopedia. "Human Capital: The most overlooked Asset Class". ↑ Becker, Gary (1994). Human Capital: A theoretical and empirical analysis with special reference to Education. The University of Chicago Press. ↑ Hansen, W. Lee (1970). Education, Income and Human Capital. ↑ Bagde, Surendrakumar. "Human Capital and Economic Development in India" (PDF). ↑ Maddocks, J. & Beaney, M. 2002. See the invisible and intangible. Knowledge Management, March, 16-17. Sami Mahroum (2007). Assessing human resources for science and technology: the 3Ds framework. Science and Public Policy 34 (7), 489–499. Rossilah Jamil (2004). Human Capital: A Critique. Jurnal Kemanusiaan ISSN 1675-1930. Becker, Gary S. (2008). "Human Capital". In David R. Henderson (ed.). Concise Encyclopedia of Economics (2nd ed.). Indianapolis: Library of Economics and Liberty. ISBN 978-0865976658. OCLC 237794267. Human Capital Management (HCM) research papers, Softscape Whitepapers.